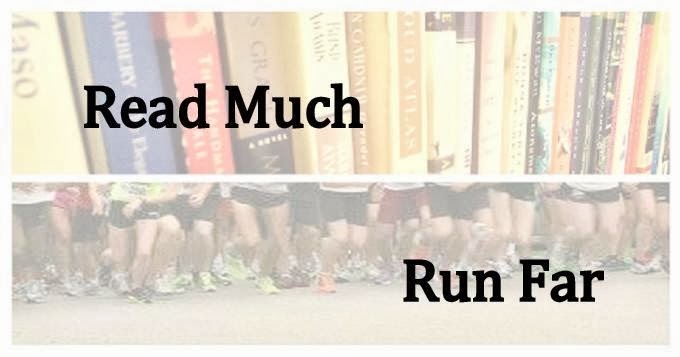 Read Much, Run Far: Double the fun at Pate Hollow! Double the fun at Pate Hollow! Is there anything more rejuvenating but also exhausting than running trails? Sunday morning I completed two loops of the six-mile Pate Hollow Trail and I was fairly well beat for the rest of the day. But it was such a glorious, perfect morning and such a good run that I'm still riding high on it. It looks a little like the outline of Lake Superior! 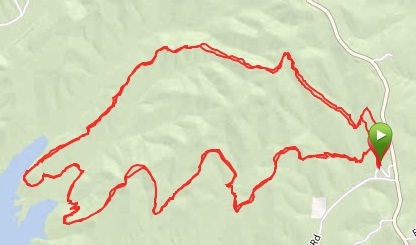 This is a great trail; I only wish I got out there more often. 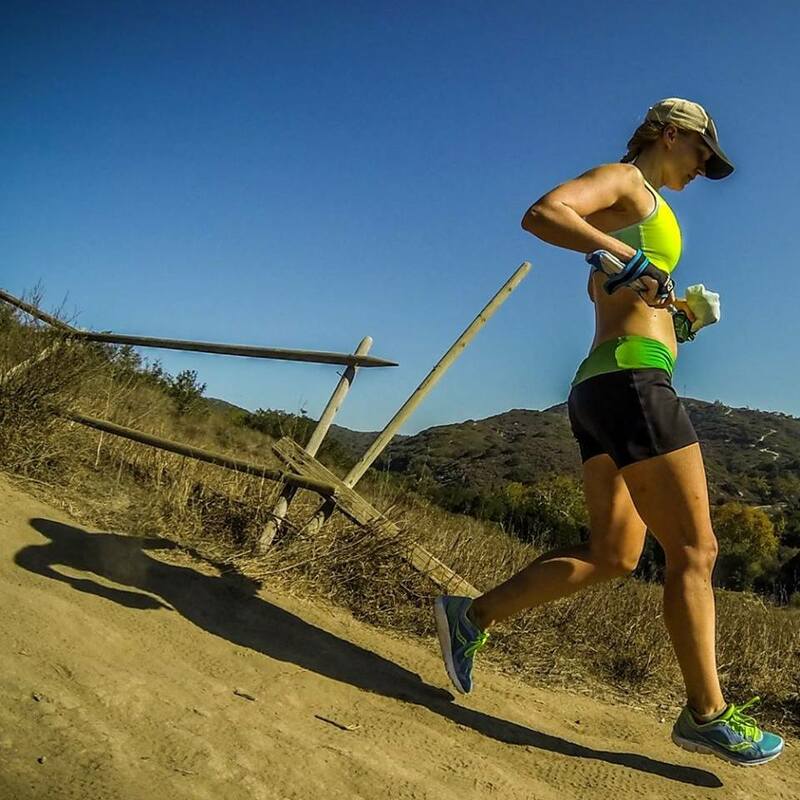 It's especially good if you like leg-burning hills. And it's even better when you follow it up with brunch at the Runcible Spoon. Several BARA members routinely do a ride-run-ride with this trail: Ride out from town, run the trail, then ride back. Talk about a brick workout. As in, legs feel like? I've not done it so I can only imagine. It was a busy weekend—we had houseguests. Michelle and the mathies were in town for a wedding, and Michelle brought her dog Buster, so Rudy had a buddy to play with all weekend. He was either sleeping or playing from Thursday night until 7:00 this morning. Hopefully he'll be tired at least for today. But I'm betting he'll be ready for a run tonight. Besides that, I squeezed in a Saturday afternoon race (the Magnificent 7K in 32:16), and several hours of yardwork, mainly shifting a giant mulch pile into various areas of the front yard. The race was fun, although I unwisely ate crème brûlée French toast shortly before for brunch at Uptown and wasn't exactly feeling light on my feet. Lots of eating out this weekend what with the guests. We also had a great dinner at Little Tibet. This week we will launch our next big house project—installing a hardwood floor. That should be pretty exciting. And grueling! We're doing the entire first floor to replace two different kinds of yucky carpeting and some faux hardwood laminate. I'm pretty excited to see that carpet go. A white carpet + a black dog is really not a great combination. The amount of hair and dust that the vacuum cleaner pulls up is...well, let's not talk about that. Sounds like a fun weekend, Miranda! I'm with you on the dog hair thing. I feel like I could vaccuum every single day and still find hair everywhere. I never dare to wear black clothes EVER because of my little furball. I bet the hardwood floors will be gorgeous!